Little Woody says: "Make sure to wear ear protection!" On this farm I lived in a big old drafty farmhouse for about 15 years, and each year we burned 4 or 5 cords of wood. 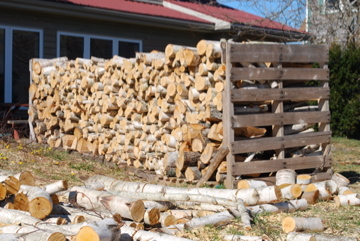 We would order it, have it delivered cut and split, stack it up in the wood shed, and then haul it into the house to keep the wood stove going. 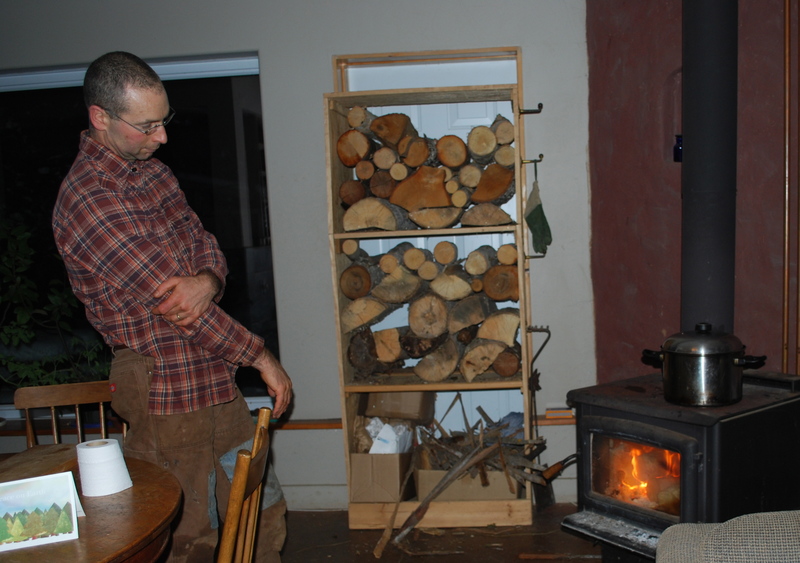 After the first year, we had no furnace, so the firewood and wood stove became Very Important Things. At first, the price of a cord of wood was about $100. So, $500 per year seemed quite reasonable. In fact, so reasonable, that it didn’t make sense to spend the time and money to cut our own wood. And, I’m a wee thing, not terribly efficient at cutting down trees and hauling them around. And, I did not own a chain saw. I did take two chain saw courses. But I must confess, I still don’t feel confident using one. Still… I had the desire to be more self-reliant in firewood. And I felt embarrassed when trees fell down in the wind. My neighbors would all be out harvesting the easy wood, and ours would simply rot. Like I said. Embarrassing. My desire to become more self-reliant in firewood increased with the rising cost of firewood. Now it is between $175 and $200 for a cord. Also, I moved into a more efficient house, reducing the wood needs from 5 cords to 2. I should add that we’ve had a lot of windstorms (climate chaos?) 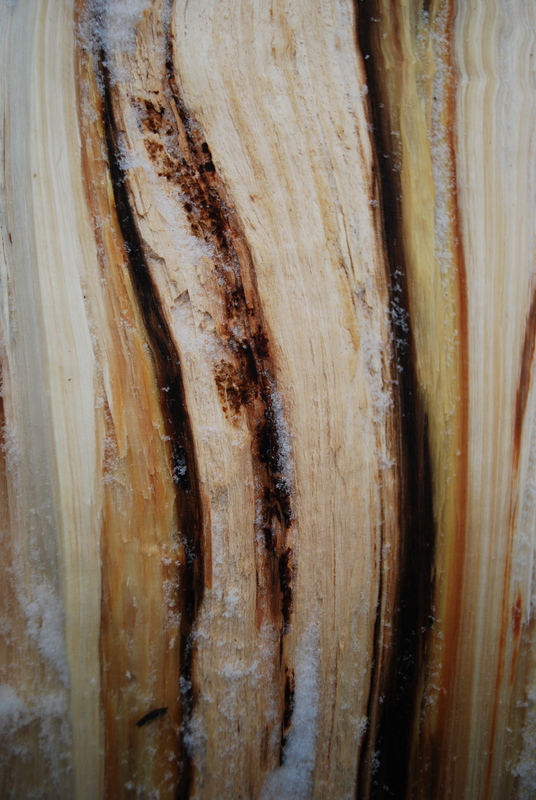 and the available wind-blown wood on the farm was increasing. Let me momentarily digress. I spend part of my day earning money. I also spend part of my day saving money. Sometimes the saving money part can actually be fun. Steph and Emily helped us haul logs for a day. They also helped plant garlic. Now that David is on the farm, with a chainsaw that actually works, we’ve been harvesting firewood from storm damage, from wire birch and poplar growing in to the edges of fields, and from around more valuable trees like oak. He cuts the trees down, and I haul them out like a little pony. Sometimes I get help hauling from David, or other friends. I always thought we couldn’t do our own firewood because we didn’t have a truck. David said, no problem, we can use the minivan with the back hatch open, or a minivan and the trailer! That would never have occurred to me. 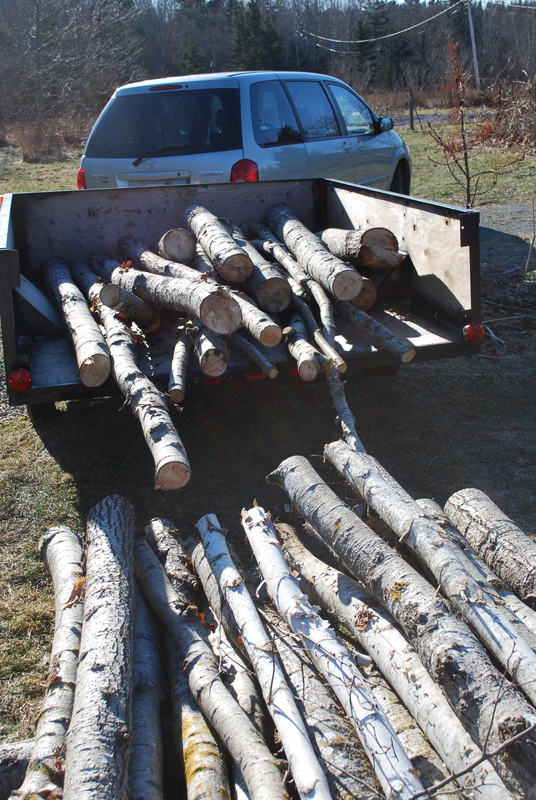 I also didn’t think that wire birch and poplar, which we have on the farm in great abundance, would make good firewood. They are considered junk trees and I was told wire birch would rot before we got to burn it. Not so! We collected all the spindly trees, junked them, and piled them in a rick made of old pallets. Then we covered the whole thing with old greenhouse plastic, leaving two ventilation holes at the ends, and watched it heat up. All summer we could smell the wonderful aroma of birch drying. Because the trees were so spindly, we didn’t have to split the pieces. Bonus! In the end, we saved about $440 (before tax income) on firewood, and spent about $15 on gas for the minivan and chainsaw. It took us about 50 hours to cut and junk and split the wood, but we really enjoyed the exercise during the months we are not market gardening. It wasn’t an onerous job because we’d pick the nice afternoons to work on this project. Another thing: sitting all day in front of a computer doing ‘desk work’ is not good for me, or David. 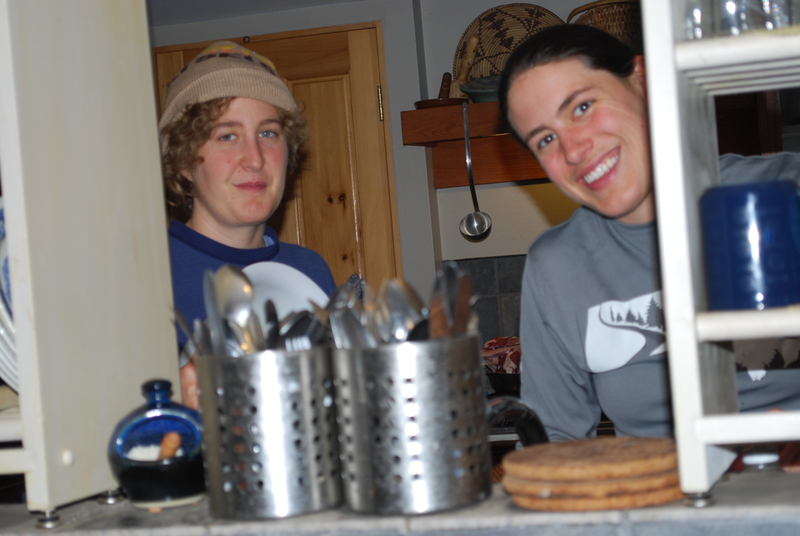 When we work on firewood, it keeps us in shape, it gives us time to think problems through, or discuss ideas. Speaking for myself, it allows me to work off any frustrations outside in the fresh air. One of our neighbors lovingly fixes David’s chainsaw for next to no money. He is our hero. He is retired from a life of working in the woods, and just can’t stop working. Luckily, he likes our pickled beets. In the winter we put a 'wood shelf' in the outside door. 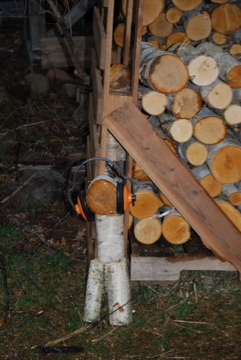 It can be loaded from the outside and is handy to the wood stove inside. Luckily we have another door that people can use. This entry was posted in efficiency and tagged energy, firewood. Bookmark the permalink.